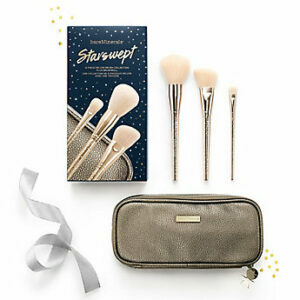 The limited edition Starswept makeup brush gift set features three bestselling face and eye makeup brushes reimagined with beautiful rose gold handles. 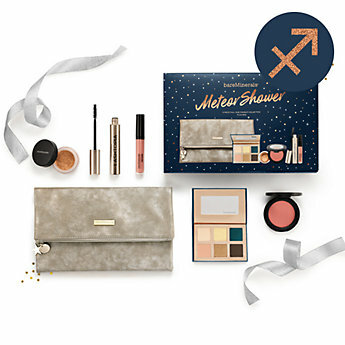 A luxurious textured brush roll makes it easy to take all your makeup brushes on the go – and makes this an indulgent yet practical holiday gift idea. Brushes included: Supreme Finished Brush for perfect loose powder application, Blooming Blush Brush for perfect blush and bronzer application, Shade and Diffuse Eye Brush for perfect eye color application. 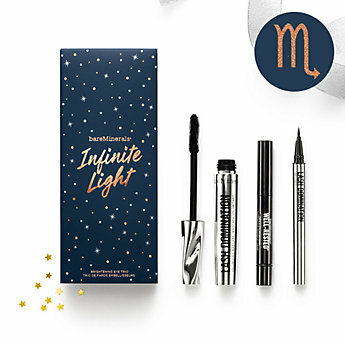 A bestselling mascara, luxe liquid eyeliner, and creamy brightener for face and eyes are all you need to glow and go. The ultimate 10-in-1 mascara with exclusive ProTwist180 wand to coat lashes from all angles. A versatile felt-tipped eyeliner that delivers rich, even, water-resistant definition with all-day wear. Instantly brightens and revives your complexion for a fresh-faced, youthful-looking glow.